Books! Books! Books! 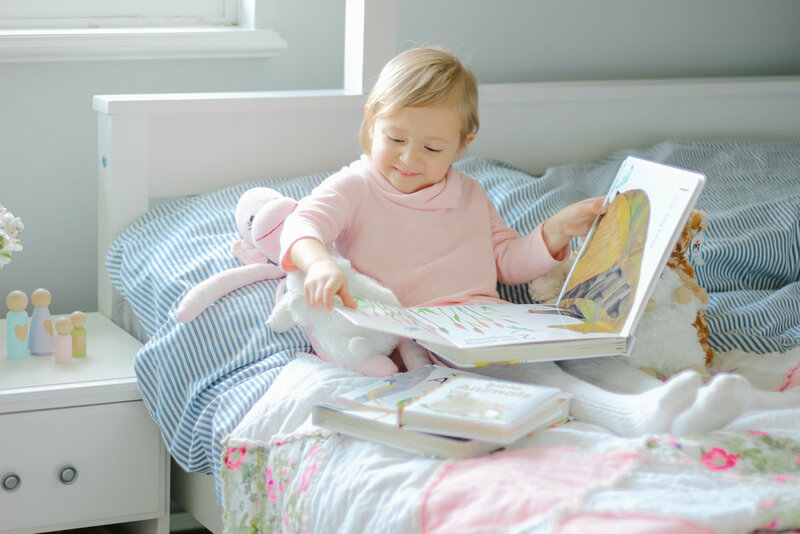 We seriously love reading books in our homes and it is such an amazing quiet activity for kids as well as both educational and engaging. We make frequent trips to our local libraries, garage sales, bookstores and even purchase books online. 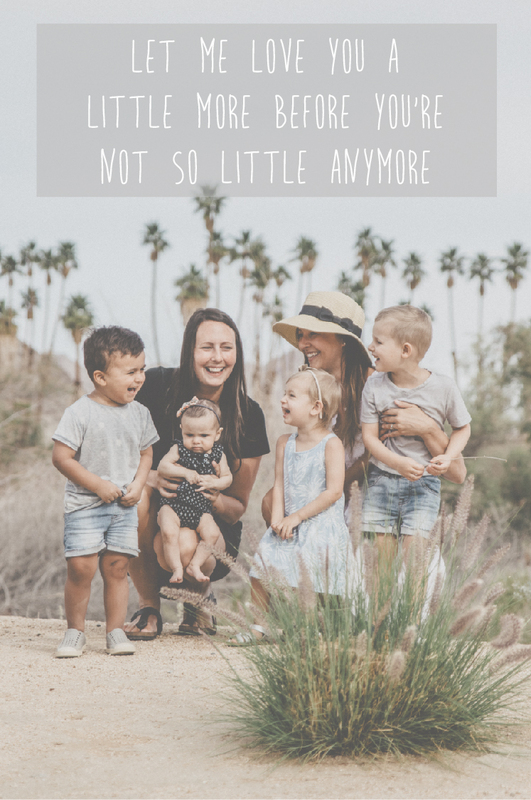 Sometimes it can be overwhelming walking into a bookstore or looking online for a new book for your child, regardless if you are looking for a specific theme or not. One thing we look for is the publisher. One of our favourite publishers for children’s books is DK Books. 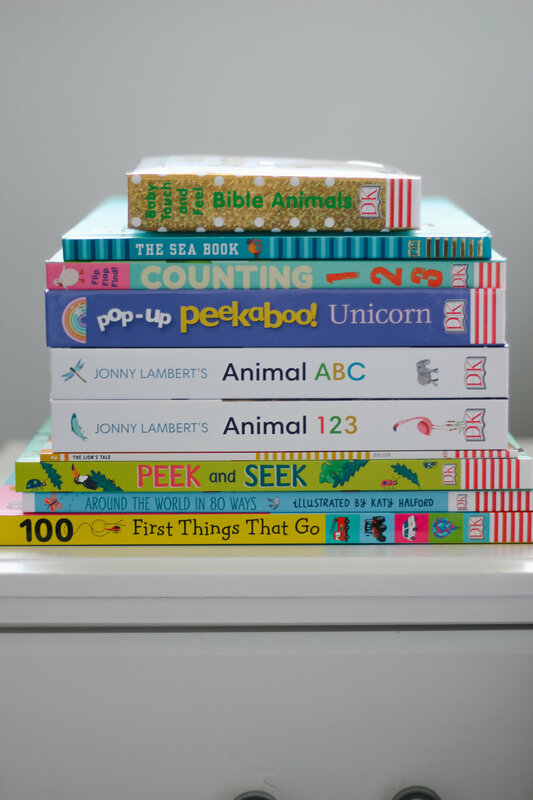 They make an incredible variety of books for children of all ages ranging from activity books, non-fiction readers, counting, alphabet books, animals, space and so many other themes. Today we wanted to share a few of our favourite new releases from DK Books. We will be sharing lists of some of our favourite books every few months so you can look out for these titles at your local bookstore (Indigo for us), at your library or online at amazon. The Sea Book - This was a new title to me, and the cover jumped out at me because of our interest in sea turtles. My kids Grandparents visit Hawaii and they often send videos and pictures of swimming with sea turtles. However, as I read this book with my children, the content is what impressed me the most. 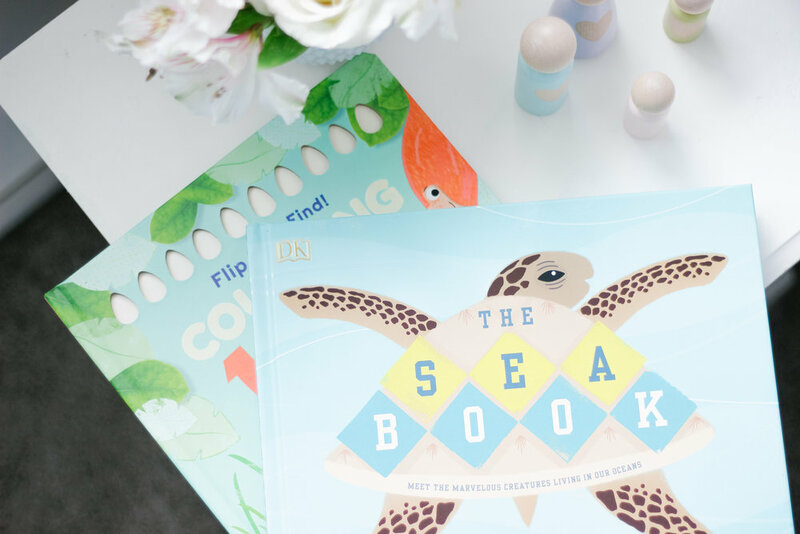 This book is beautifully illustrated and explores the underwater world which you would guess, but also brings awareness to ecological effects on the marine world as well that kids can connect with (throwing plastic into the ocean). Animals 123 - This counting book by Jonny Lambert is quickly becoming one of our my favourite for your children. Each page features a gorgeous illustration of an animal and allows children to engage in counting. A couple of the pages fold out to bring a large illustration to life. I personally find this book so fun to read with the kids that is both educational and fun. Animals ABC - The second book, similar to Animals 123, however this book focuses on letters. Each page focuses on a new letter of the alphabet introducing an animal that starts with the letter. The illustrations are gorgeous just like the Animals 123 book. This is a perfect book for toddler to school aged children who love animals! 100 First Things that Go - If you have a son or daughter that loves moving vehicles then this is a perfect book to add to your collection. The large, colourful cover immediately grabs children’s attention and continues as you flip through each page. There are many different sections such as on the water, around town, top tractors and introduces new vocabulary to your child. The Lion’s Tale - DK Readers are a favourite book in our home because they are small and easy to store but filled with wonderful stories and information. Cairo’s middle name is Ari which means Lion, so naturally we had to read ‘The Lion’s Tale”. This DK is non fiction and tells the story of a young lion cub from birth, growing up on the Savanna. The photographs and text created an engaging story for the kids and captivated their love for animals. Flip, Flap, Find! Counting 1, 2, 3 - This was one of my personal favourites! I love books that keep children engaged and learning but also captivate their attention. Each page allows children to practice their counting, however there is also a question or guessing game on each page. For example, there are clues that give children hints as to what creature might hatch from each egg, but the children can also count the eggs before they guess as well. The colours are bright and beautiful and this is a great choice for toddlers and preschoolers for spring! 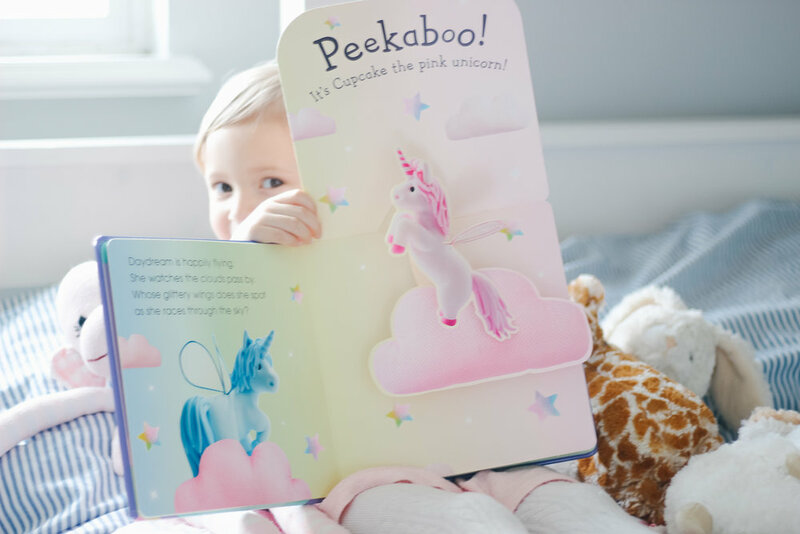 Pop-up Peekaboo Unicorn - My daughter loves this book and it was her first choice to read from the new pile. I like that the book teaches colours and each page has a lift the flap which little kids love. The pastel colours are beautiful in this book and it would be the perfect addition to an Easter basket if your child loves unicorns. Check out some of these new titles and let us know what you think!